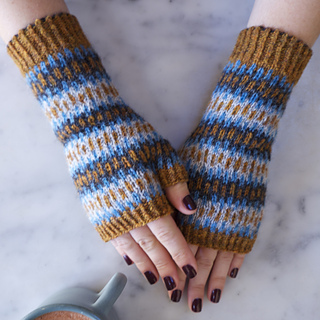 A modern, geometric take on stranded knitting designs, Zippertooth Mitts are a great pattern for playing around with color choices, and using up scraps or yarn minis. 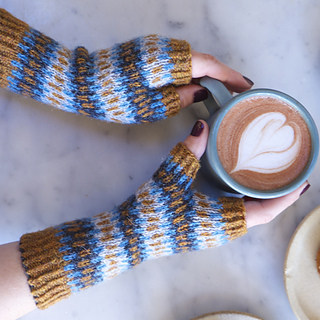 Twisted ribbing and a contrast color cast-on keep things fresh and interesting, while the thumb gusset is carefully designed so as not to interrupt the pattern. 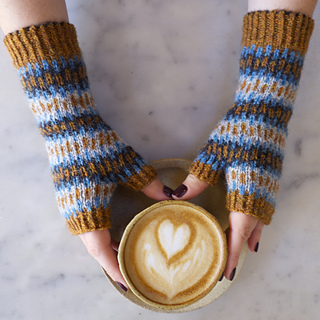 The written instructions includes a quick bit of information about choosing colors for stranded knitting, to help you end up with a project you’re really happy with! 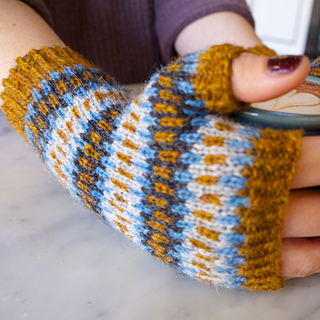 The colorwork pattern is provided only in chart form - one chart also includes shaping for the thumb gusset. All other instructions are written. “Color your own” pattern charts are also included, so you can bust out your pencils and choose your own colorscheme! Adults small (medium, large) to fit a 6-6.5 (7-7.5, 8-8.5)”/ 1 5.5-16.5 (18-19, 20.5-21.5) cm hand circumference. US 1 (2.25 mm) DPNs or circular needle for magic loop, or one size smaller than needed to obtain gauge. US 2.5 (3.00 mm) DPNs or circular needle for magic loop, or size needed to obtain gauge. US 1 .5 (2.5 mm) DPNs or circular needle for magic loop, or one size smaller than needed to obtain gauge. US 2.5 (3.00 mm) DPNs or circular needle for magic loop, or one size smaller than needed to obtain gauge. Small: 32 sts & 38 rows = 4”/ 10 cm in colorwork pattern. Medium: 30 sts & 34 rows = 4”/ 10 cm in colorwork pattern. Large: 26 sts & 30 rows = 4”/ 10 cm in colorwork pattern. Ambitious beginner/ intermediate. 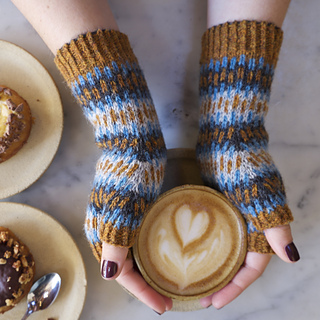 Because of its short floats, this would make a great first colorwork project. However, it does involve increasing while maintaining the colorwork pattern, and casting on stitches in the middle of a round.